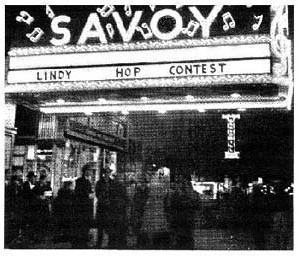 Mike & Mary’s promotion of Lindy Hop and Balboa – Hepcats! Mike & Mary have been instrumental in establishing and developing the Lindy Hop and Balboa swing dance scene in Lexington and central Kentucky, and 2018 marks the 17th year they’ve been promoting Lindy Hop and Balboa. They consider it a privilege and an honor to contribute to the great tradition of the dances and music of the swing-era. They strongly believe awareness of and an appreciation for the swing-era as a historical and cultural asset is important for the Lindy Hop and Balboa dancer. In order to know where you’re going, you have to know where you’ve been! o Teaching the original swing-era dances, Lindy Hop and Balboa, to literally thousands of people. It’s a real joy to see the moment when the “light comes on” for a new student; or when a “step, step, rock step” swing dancer takes the challenge to become a Lindy Hopper; or when someone discovers the unique and dynamic nature of Balboa! o Providing swing dances in Lexington at venues where people can dance to the great music of the swing era. o Collaborating with the Kentucky Jazz Repertory Orchestra (KJRO) to provide music for big band swing dances, with the orchestras playing authentic swing-era arrangements. 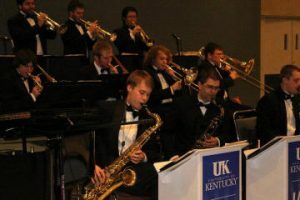 One of two ensembles provide the music for these events: (a) KJRO, consisting of the finest and most talented faculty, alumni and musicians from Kentucky area colleges and universities; or (b) the UK Jazz Ensemble (UKJE), consisting of the most talented students in the award winning and nationally recognized UK Jazz Studies Program. The dancers obviously benefit from these events, but so do the musicians as they get a chance to see some authentic Lindy Hop and Balboa danced to the great music they play. Not many (if any) communities the size of Lexington have swing dances with such talented big band orchestra’s providing authentic, swing-era music! 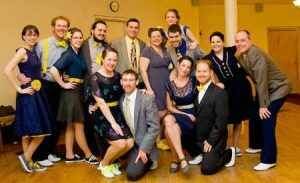 o The establishment of Lindy Hop performance groups to elevate the level of swing dancing in Lexington and central Kentucky. These performance groups have experienced success at regional and national level competitions and events. And most of those dancers got their start with Mike & Mary and the Hepcats! o Collaborating with other organizations in Lexington/central Kentucky to bring high quality swing dance events to Lexington, i.e. Swingin’ on Short, Lexington’s annual street dance. Mike & Mary have assisted with this event for the past 16 years. Mike is responsible for selecting the band that provides the music, and Mike and Mary serve as judges for the dance contest. o Sponsoring one day and weekend workshops, some featuring high quality national and regional level Lindy Hop and Balboa instructors. Once again, thank you for your support of Mike & Mary and the Hepcats, and see you on the dance floor! Learn to swing dance with Mike & Mary!